It’s hard not to love Steve Harvey with his raw honesty and contagious personality, but you’re about to love him even more after you see what he did for his wife last Mother’s Day. Though the mom holiday may be over, his message is timeless. 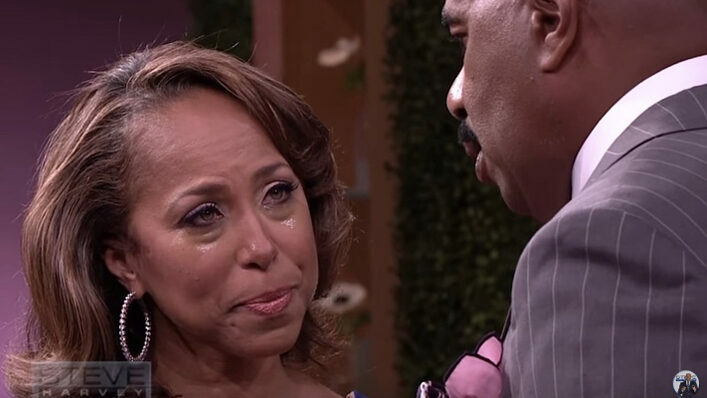 After being married to Marjorie Bridges for nine years, her hubby brought her on the show to make a public confession that left her with tears of joy just streaming down her face. “From the moment I saw you, when you walked into that comedy club that night, the first thing I said to you ever was, ‘I don’t know who you are, lady, but I’m gonna marry you one day,’” said Steve. …And that’s just the beginning. In his emotional tribute, Steve embarks upon the best of times and the worst of times, and it perfectly sums up the beautiful mess that is this crazy awesome thing called marriage.